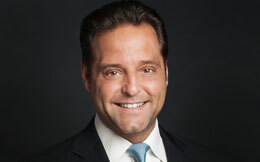 After 18 years on Wall Street, including 10 at Goldman Sachs as a Partner, Paul Scialla’s interest in sustainability and altruistic capitalism led him to found Delos, which is merging the world’s largest asset class – real estate – with the world’s fastest growing industry – wellness. Since the company’s inception, Paul has become a leading voice in the sustainability movement, serving as a keynote speaker at prominent green building, real estate, and technology forums and conferences around the world. Paul is also the Founder of the International WELL Building Institute (IWBI), which administers the WELL Building Standard® globally to improve human health and wellbeing through the built environment, a member of the Board of Directors for the Chopra Foundation, and a founding board member of the JUST Capital Foundation. Paul graduated from New York University with a degree in finance, and he currently resides in New York City.